You may print this registration form out; complete; sign; and mail back to our office along with your $10.00 fee per operation. Each operation will need a registration form. Checks may be made out to Boone County Conservation District. A receipt and certificate will be mailed back to you. The Arkansas Natural Resources Commission (ANRC) and the Boone County Conservation District (BCCD) wants to remind all owners of Poultry Feeding Operations (PFOs) that the annual registration for PFOs begins January 1, 2019 in accordance with the Arkansas Poultry Feeding Operations Registration Act (Act 1060 of 2003). Registration dates will run through March 31 and affect any PFO with 2,500 or more confined fowl. The ANRC administers the registration program for the purpose of collecting information on the number and type of poultry, and practices of poultry feeding operations in the state. The program is designed to preserve Arkansas’ economy and water quality through registration. The goal of this program is to reduce the overabundance of phosphorus and nitrogen that threaten our water resources, while minimizing the impact on fertilizer users. Each poultry producer must register their operation at their local conservation district in the county where the operator pays the property tax on the poultry farm. 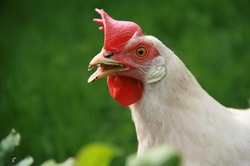 (Boone County poultry producers will register at: BCCD, 402 N. Walnut, Suite 125, Harrison.) There is an annual $10.00 registration fee per operation payable to the district. For more information about PFO registration contact the Boone County Conservation District at (870) 741-8600 ex.3 or call Arkansas Natural Resources Commission in Little Rock at (501) 682-3968.